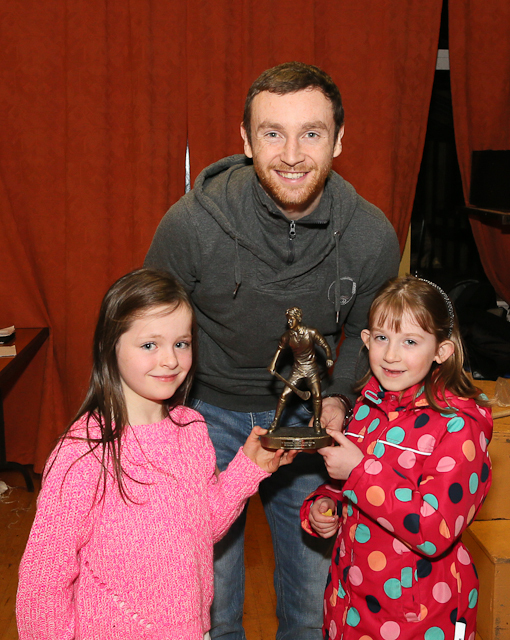 The end of another hurling and camogie year was marked recently with our annual presentation night in the Sportlann. Chairman of the senior Club Tony Stakelum extended a warm welcome to the large numbers of parents and players who were there on the night and he also welcomed our Guest of honour Keith Higgins who got a rapturous welcome when introduced. He went on to thank all the coaches who gave of their time during the year and to the parents who also played their part in what was a great year for the club. Finally, he thanked the players for the way they represented the club during the year whether at training or matches and said they were a credit to our club. 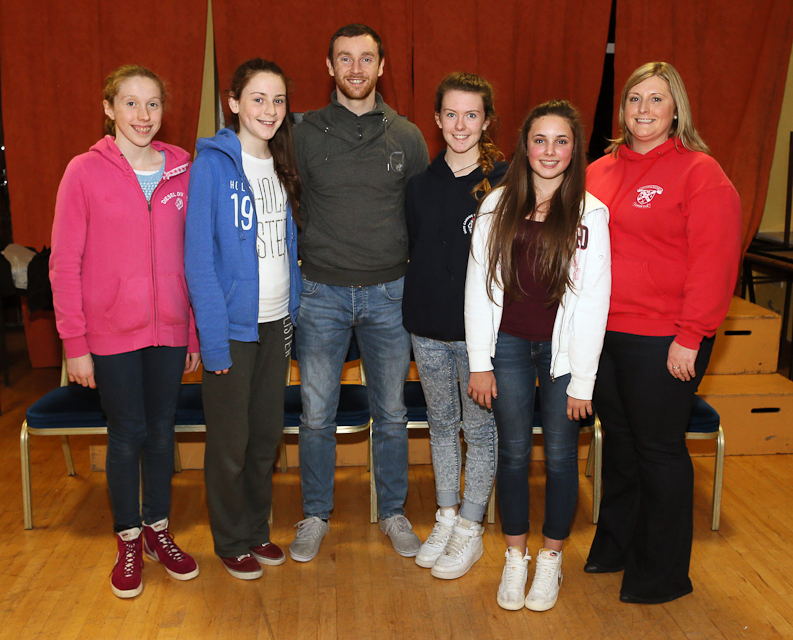 Castlebar players on U14 Mayo Camogie team: Megan Deely Evanna Lyons Alannah Courell Lucy Flynn and their coach Miriam Page. Photo: Michael Donnelly. 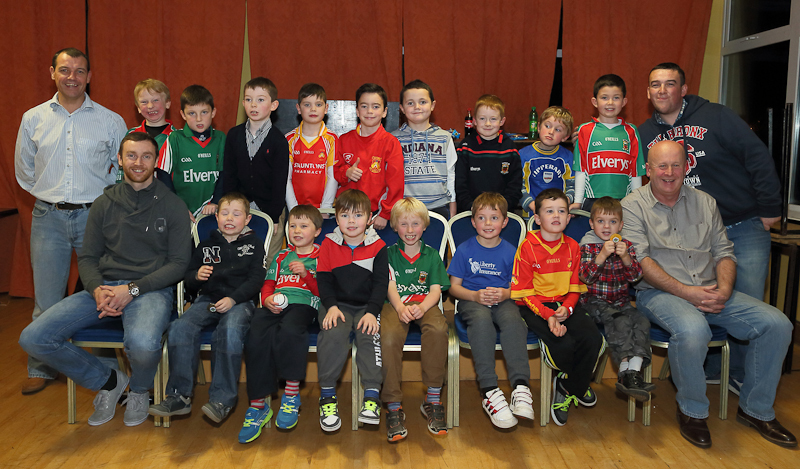 u8 hurling team with coaches Michael Danagher Kevin O'Boyle and Tony Stakelum. Photo: Michael Donnelly. 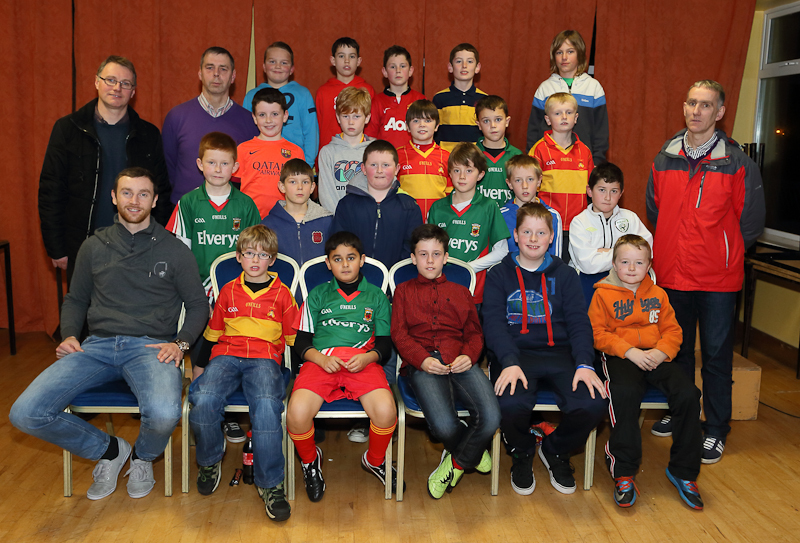 u10 hurling team with coaches John Enright John Lyons and Ollie Cunningham. Photo: Michael Donnelly. Ciara Kennedy and Clodagh Quinn making a presentation to Keith Higgins. Photo: Michael Donnelly. 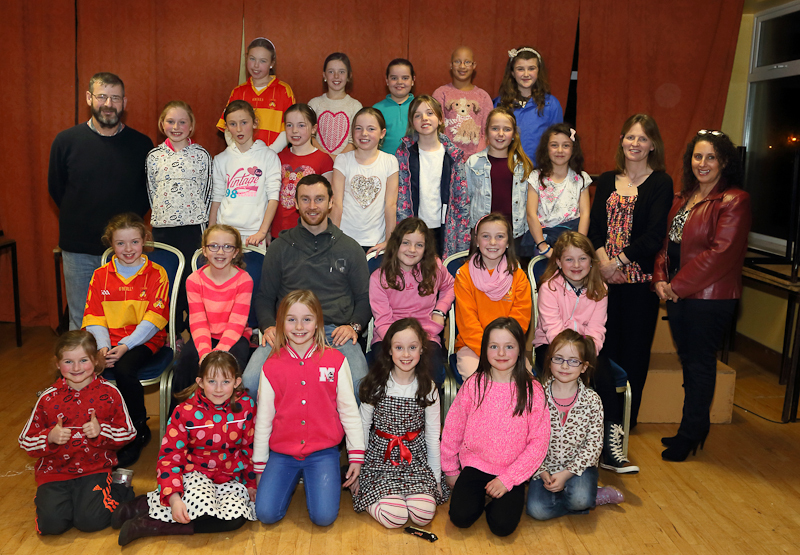 Camogie u10 & U8 with coaches Brian Healy Mark Kennedy and Barbara Flynn. Photo: Michael Donnelly. 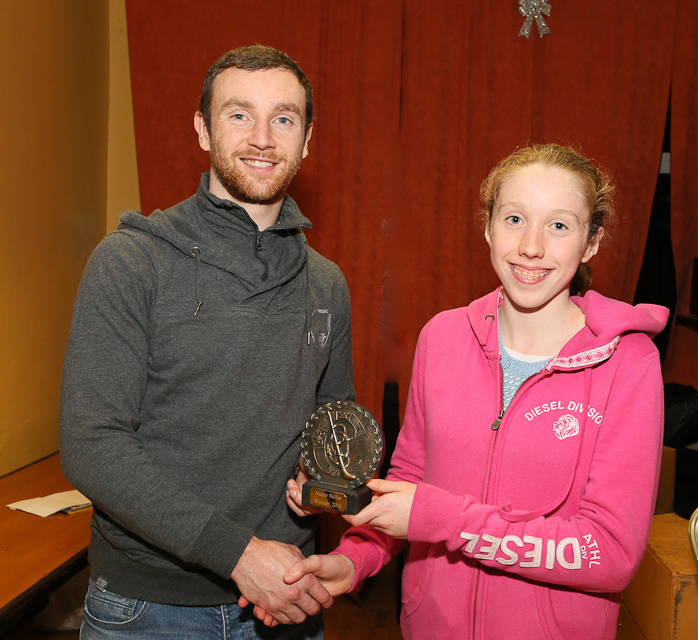 Mayo u14 county Camogie skills winner Megan Deely. Photo: Michael Donnelly. 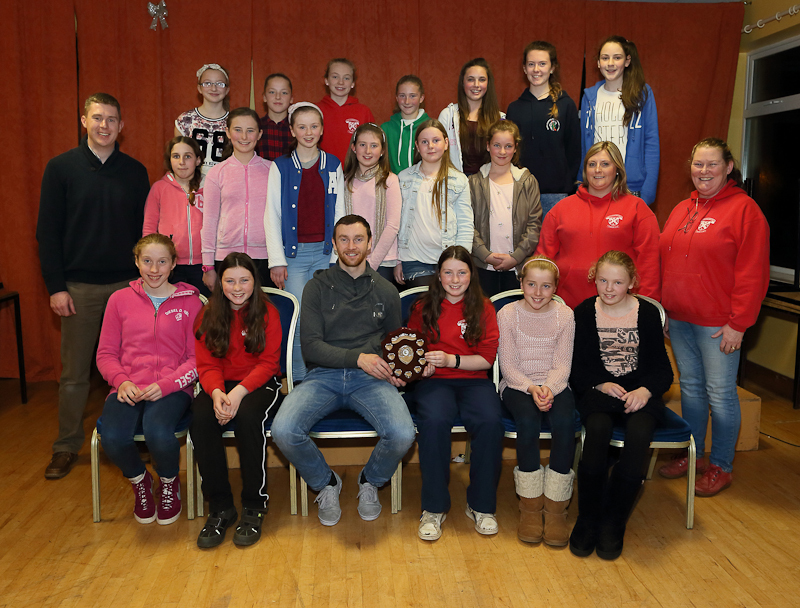 u12 Camogie winners with coaches Edwin Quinn Miriam Page and Annie Minish. Photo: Michael Donnelly. 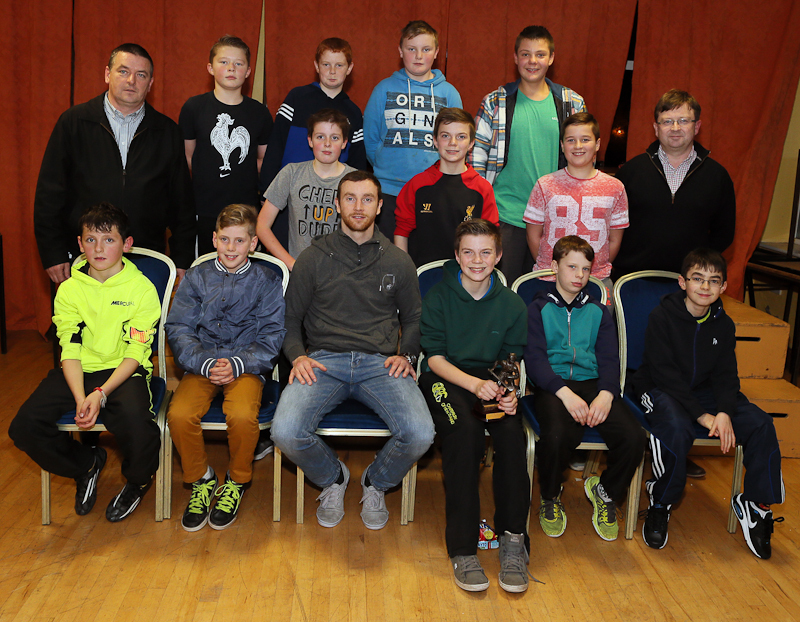 u12 hurling team with coaches Aiden O'Shea and John Kennedy. Photo: Michael Donnelly. The various presentation took place for the different age groups with pride of place going to our u12 Camogie team and our u12 boys team who won county finals during the year. And finally to the Treacy twins Ronan and Ciaran who jointly won the prestigious Pete Finnertry Trophy for the most improved hurlers at u12 age group. Loads of spot prizes were won on the night thanks to John Lyons for organising these. To our Guest of honour Keith Higgins many thanks for your time and patience on the night for all the photos and autographs with the young and old it was much appreciated by everybody. To all who in anyway shape or form helped our club during the year your efforts are very much appreciated. On behalf of the Castlebar Mitchels Hurling Club may we wish you a Happy Christmas and New Year.